We are proud to support the latest project from the Contemporary Art Gallery. The Contemporary Art Gallery presents a new performative sound work with Norwegian/US artist/musician Camille Norment in collaboration with Victoria’s Experimental Music Unit: Tina Pearson, George Tzanetakis, and Paul Walde. Norment performs with a glass armonica, a legendary eighteenth century instrument that creates ethereal music from glass and water. Combined with EMU’s reputation for sonic investigations of relationships between the natural world, sound and music, and between notation, improvisation and attention states in music making, Norment and EMU will develop a work that resonates with local history. ‘Songs for Glass Island’ will use US visual artist Robert Smithson’s failed 1969 proposal for the Strait of Georgia, ‘Glass Island (or Island of Broken Glass)’ as point of departure. Granted permission by the Canadian Government, Smithson planned encrusting Miami Islet west of Fraser Point in 100 tons of broken glass. However, as public pressure against the idea mounted from environmentalists and anti-Americanists, it was suspended by a governmental telegram. Aside from drawings, letters, and plans, the only physical artifacts which remain are studies which Smithson called “maps.” What would have been Smithson’s first “permanent” earthwork morphed via the idea’s failure into the famous Spiral Jetty made the following year. Through the creative process, the juxtaposition of the practices of sound and experimental music performance in glass will create a visually stunning and sonically captivating audiovisual concert-length program. Using glass in various forms as their primary instruments, they will prepare a set of inter-related works including newly developed instrumentation. Camille Norment is a multidisciplinary American artist living in Oslo, Norway. Her work has been the subject of numerous international exhibitions and performances including the Museum of Modern Art, New York (2013) and a commissioned artwork and performance for the Museum of Contemporary Art, Oslo (2012). In 2015 she presented Rapture, a site-specific, sculptural and sonic installation in the Nordic Pavilion for the Venice Biennale. She regularly performs and records with the Camille Norment Trio in which she plays the glass armonica. EMU is a sound ensemble of LaSaM Music from Victoria, British Columbia featuring performer/composers Tina Pearson, George Tzanetakis, Paul Walde and producer Kirk McNally. During the past four years EMU has developed a reputation for sonic investigations of relationships between the natural world, sound and music, and between notation, improvisation and attention states in music making. 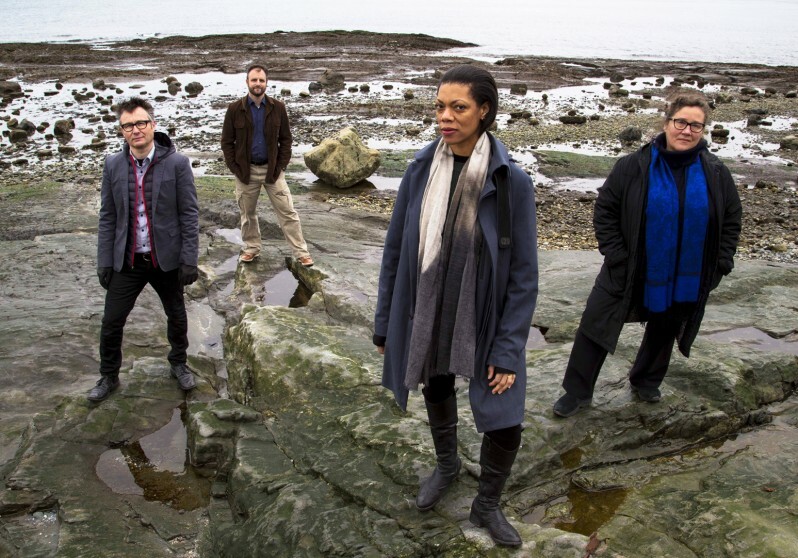 ‘Songs for Glass Island’ is presented in partnership with LaSaM Music, Victoria and is supported by the Office for Contemporary Art Norway through its program for International Support, The Canada Council for the Arts, The University of Victoria through its Distinguished Women Scholars Fund, the Orion Fund in Fine Arts and the Department of Visual Arts.